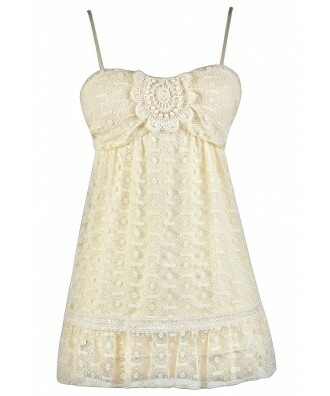 This girly mesh lace babydoll top is cute worn by itself or as a layering piece underneath a cardigan or jacket. The Simply Sweet Mesh Lace Babydoll Top is fully lined. It is made of a cream mesh fabric. 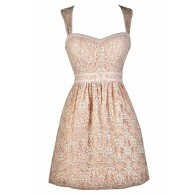 It has a sweetheart neckline, lightly padded bust, and adjustable spaghetti straps. 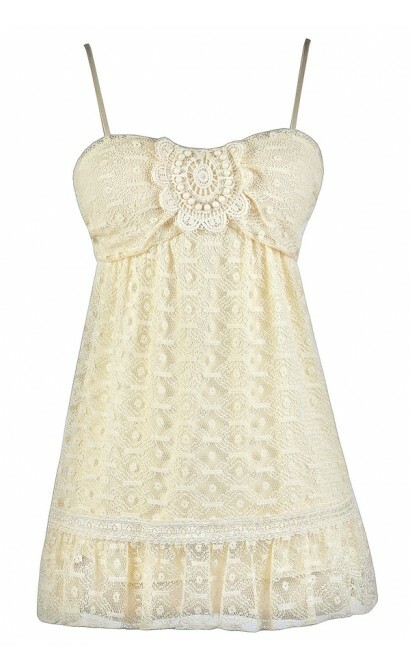 A crochet applique in the center of the bust is embellished with cream beads, creating a girly and romantic look. The Simply Sweet Mesh Lace Babydoll Top is perfect to wear with denim and a flowy cardigan for a polished look. Details: Made in USA. Fully lined. Lightly padded bust. Adjustable spaghetti straps. 85% cotton, 15% polyester. Hand wash cold. Do not bleach. No iron. Hang dry. Small measurements: Length from top of bust to hemline: 23". Bust: 32". 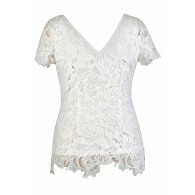 You have added Simply Sweet Mesh Lace Babydoll Top in Cream into Wishlist. 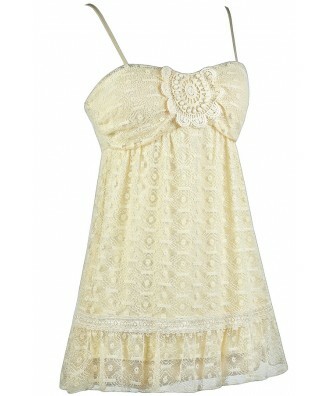 You have added Simply Sweet Mesh Lace Babydoll Top in Cream for Stock Notification. 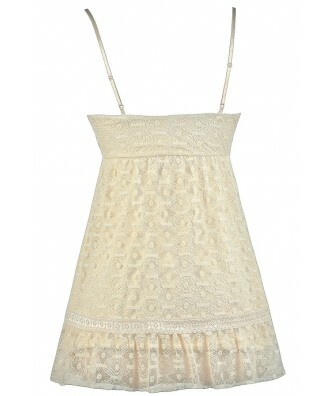 You have set Simply Sweet Mesh Lace Babydoll Top in Cream as a loved product. 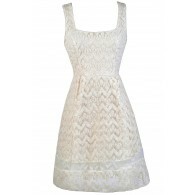 You have removed Simply Sweet Mesh Lace Babydoll Top in Cream as a loved product.